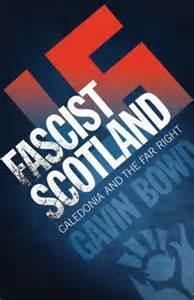 Gavin Bowd’s book Fascist Scotland, Caledonia and the Far Right has given succour to unionist opponents of Scottish self-determination. Allan Armstrong (RCN) provides a republican and international socialist critique. 1) What is a fascist organisation? Gavin Bowd’s book, Fascist Scotland, Caledonia and the Far Right, contains a lot of useful material about far right writings, culture and organisation in Scotland since the 1920s. However, Bowd does not define what he means by fascism, nor distinguish it from other forms of reactionary or right populist politics. These often invoke similar chauvinist, ethnic or racist themes. The purpose behind Bowd’s lack of clarity over the political basis of fascism only emerges gradually.